WSFM‘s Jonesy and Amanda are looking to add a World Record to their list of achievements as a radio show. 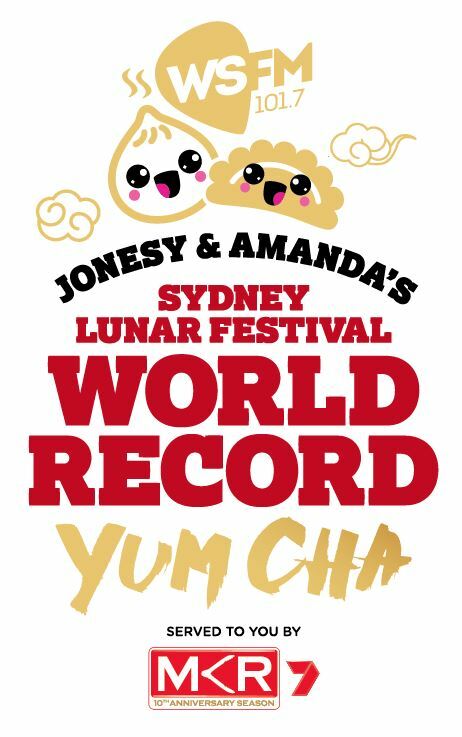 The Breakfast team will make the attempt in celebration of Sydney’s Lunar Festival on February 5, aiming to set the Guinness World Records™ title for the Largest Dim Sum (Yum Cha) Meal. Teaming up with Channel 7’s My Kitchen Rules, Jonesy and Amanda are inviting hundreds of WSFM listeners to the record-breaking attempt. “This is going to be one of the tastiest challenges we’ve ever done,” said Amanda. “Growing up, I was always told ‘there was no such thing as a free lunch’ and what better way to prove those naysayers wrong than with a world record free lunch,” added Jonesy. Sydney Lord Mayor Clover Moore has hailed the attempt as well. “Sydney is widely regarded for its array of high quality, diverse cuisines from across Asia, and dumplings are always a favourite,” said Moore. Registrations can be placed here, with listeners simply needing to explain why they want to help Jonesy & Amanda break the Guinness World Record title. More details on Sydney’s Lunar Festival available here.